The police rotor is an evolving generation product in our highly successful Advanced Technology family. 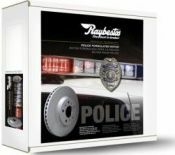 The Raybestos® brand has engineered specific metallurgy advances into the Police rotor that has raised the level of performance and expectation needed to support successful law enforcement operation. Braking requirements are complicated on police vehicles. Equipment, safety and performance demands heighten the need for dependability. No other rotor available to Law Enforcement can match our Quiet on Arrival Police rotor. 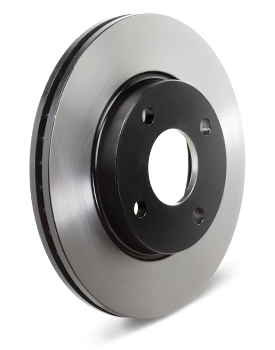 Each Raybestos® Advanced TechnologyTM disc brake rotor undergoes a strict measurement process to ensure it meets the strictest physical, safety and performance requirements. Veering from the original design can increase weight and impair proper heat dissipation, which can change the geometry of the wheel and lead to pulling, pulsing and the need to have service performed prematurely on your vehicle. With Raybestos® brand Professional Grade™ rotors, you can be assured that there are no significant differences from the original design. 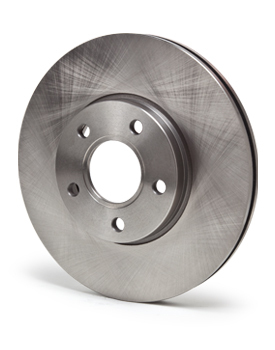 Professional Grade™ rotors are tested to ensure the replacement rotor will maintain a safe and reliable braking system.